In the days between May 24th and 28th, 1940, the British War Cabinet held a historical debate over whether to negotiate with Hitler or to continue the war. In this magisterial work, John Lukacs demonstrates the decisive importance of those five days. 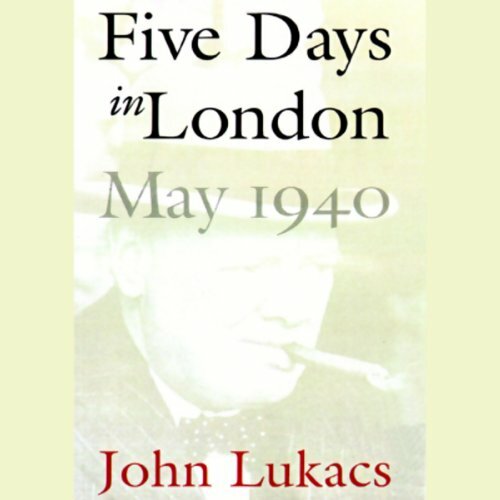 Lukacs takes us hour by hour into the critical unfolding of events at 10 Downing Street, where Churchill, who had only been prime minister for a fortnight, painfully considered his war responsibilities. We see how the military disasters taking place on the Continent - particularly the plight of the nearly 400,000 British soldiers bottled up in Dunkirk - affected Churchill's fragile political situation, and how the citizenry, though only partly informed about the dangers that faced them, nevertheless began to support Churchill's determination to stand fast. ©1999 John Lukacs (P)1999 Blackstone Audio Inc.
Was already taken as a title by Churchill himself, but that perfectly incapsulates what is written about here. I've read quite a bit about this period and I find Lukacs account to be compelling, even handed and judicious. It would be easy to lambaste Chamberlain and Halifax for the appeasement policies of the late 1930s though by this time the scales had fallen from Chamberlain's eyes. For Halifax it was more difficult. He belonged as William Manchester described it "England's decent, civilized establishment" and with the collapse of France he saw the prudent course to be a negotiated peace provided it would not be too Draconian. He despaired of Churchill's Romantic die in the last ditch vision, but it was that vision that was required and triumphed. This is the record of five days during which the fate of the West was poised on a razor's edge and it resisted the elemental forces that had brought it to this pass by obeying the single minded determination of a man who belonged to the past and the future but flourished in his unlikely present. 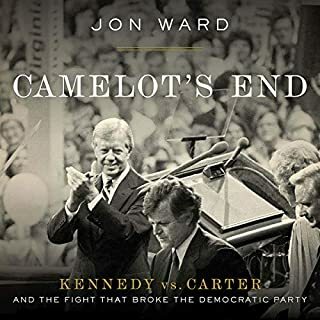 This is an outstanding listen for history buffs. Bone up a bit before you listen, though. I found myself pausing to look things up to help with understanding. But this is a fascinating look into one of the mose interesting periods of time. After you finish, get a book of Churchill's speeces and read those from May and June 1940. Good stuff! 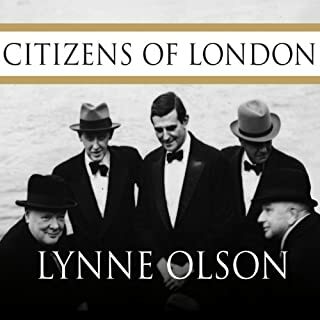 The publisher describes this work as a "magisterial" account of "decisive" and "historical" debates within Churchill's War Cabinet in London in May 1940. I think a better description would have been "The Peculiar Case of Edward Halifax." According to the text, Halifax, then the Foreign Secretary, suggested an approach to Mussolini to sound out the possibility of his mediating a European settlement with Hitler that would preserve British independence. Churchill rightly rejected the idea as a slippery slope that could sap morale and put England in position of negotiating with the Nazis from weakness--a terrible place to be when England still had the option of fighting it out. There was no real debate in the Cabinet. This was more a case of Churchill remaining courteous to Halifax by letting him speak his mind in Cabinet meetings, given Churchill's political imperative of keeping the Government united at the most perilous time in British history. 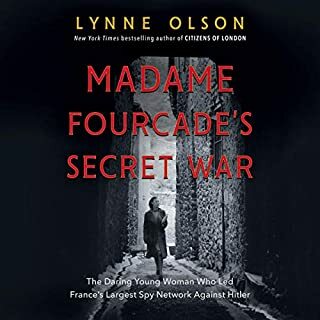 Still, the book does a good job of putting the terrible events of May 1940 in context: the uncertain fate of the British Army trapped at Dunkirk, the impending collapse of France, the well-founded fear of a Nazi invasion of England. With the benefit of hindsight, these are simply interesting facts. For those living through them who appreciated the dire situation, they knew their whole way of life and history were hanging by a thread. A great book. It shows how a man seized the moment and understood the consequences os an easy peace. 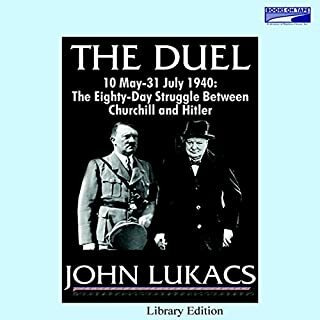 This book by Chestnut College (Philadelphia) John Lukacs is a nice in-depth study of the crucial days in late May 1940 when an armistice with Hitler (or even Britain's defeat) was most possible. Good to read in conjunction with broader treatments of the war from Gerhard Weinberg and Sir Max Hastings. 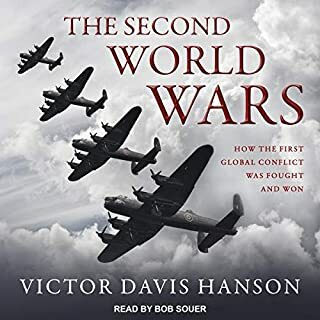 This book has many interesting facts and tons of information that I wanted to listen too - however the writing style was not fluid and I found this listen very difficult to follow. The narration was also dull and did not seem to fit the tone of the book. A superb work of histroy very well presented. Not as I expected, in some ways better. Do try this history of how Britain came to stand alone. The politics I expected, but of equal interest - and for me a little unexpected - was the recounting of the feelings and reactions of the Britsh people. The two threads combine to make compelling listening. Oh, and as well as not being able to win without the Americans, it was good to hear that without Britain the war would have been lost... and that from an American. Buy it. 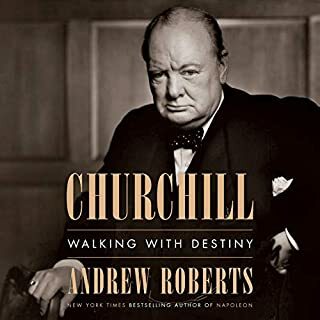 This book manages to get over the difficulties that Churchill faced when taking over the reigns of government in 1940, for me as someone far removed from this period in our history it can be a little confusing to follow all of the details and fully grasp then, I suspect that another listening would help. It is a gripping tale, and one that we should all be thankful ended in the right way. If you could sum up Five Days in London, May 1940 in three words, what would they be? I'm really not sure that I would have read this as a book. In the audio format it is just superb. I am not a historian but this work is of value to anyone with an interest in current affairs. Well read, well written and an inspiring theme. A fascinating record of five vital days in World War II and the events leading up to them. Excellently narrated by Geoffrey Howard.